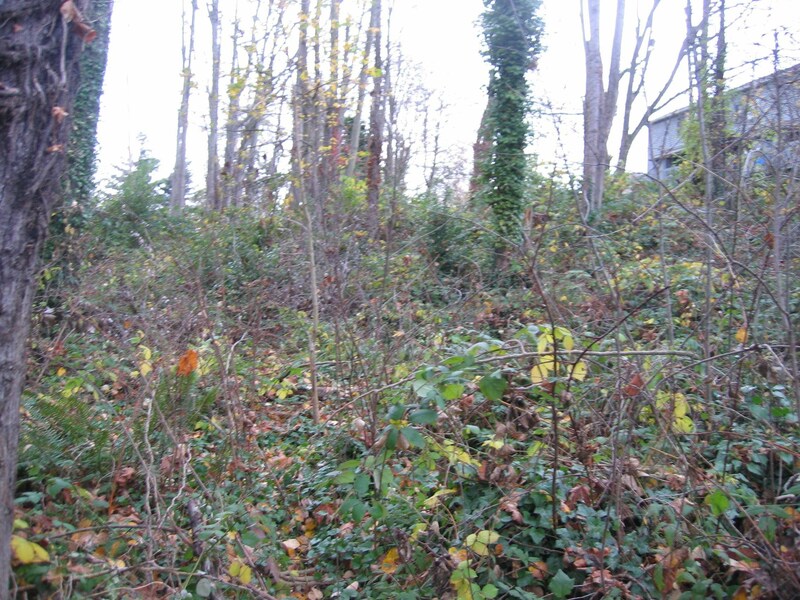 The goal of our restoration capstone project is to restore part of the Yesler Creek near Sandpoint in Seattle. Our client is Bonnie Miller, a Forest Steward. We are affiliated with Green Seattle Partnership and University of Washington Restoration Ecology Network (UW-REN). 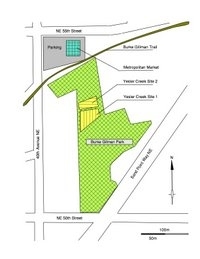 For more info, please call us at 206+349+4697 or email us at yesler dot creek AT google dot com. 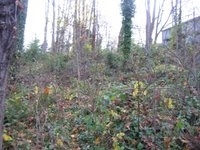 We meet at Yesler Creek every second Saturday of the month to maintain the site. To schedule different volunteer days, please email us. Work parties to mulch, clear invasive plants and plant native vegetation. What to bring: Bring yourself, your mate, your friends, water and a lunch. We will provide gloves and tools but you're welcome to bring your own if you have your own tools. We highly recommend wearing long sleeve shirt and pants. 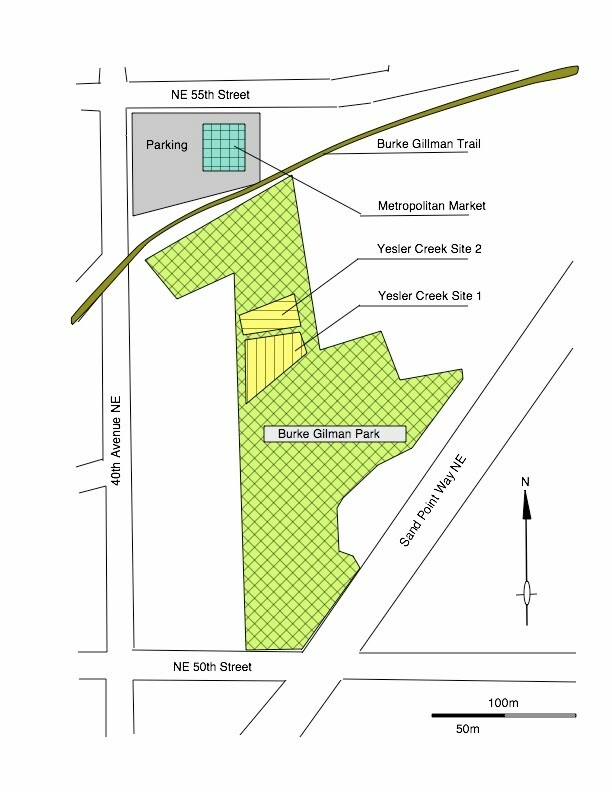 Directions: Park at Metropolitan Market on the corner of the 40th Ave NE & NE 55th Street. 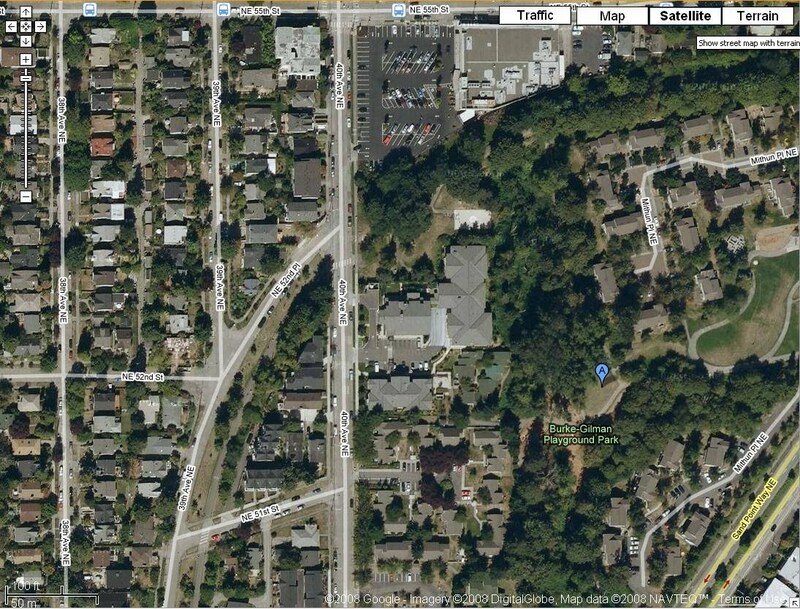 Follow Burke-Gilman trail west for 40 yards. Turn right and follow the trail and you're there. Or take the Metro bus #30 as it heads toward Sandpoint Magnuson Park. There is a bus stop on 55th, next to Metropolitan Market. Questions and Comments? 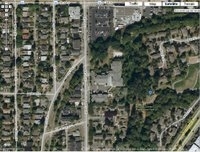 Please email yesler dot creek AT google dot com.